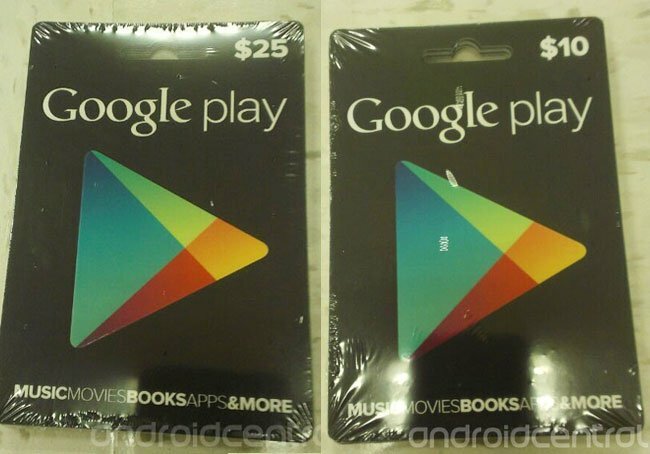 Further to the leaked images and information last week regards Google’s new Google Play gift cards. It’s now been revealed via a leaked internal memo that the new Google Play store gift cards could be arriving in stores from as early as August 26th. Nothing official has been announced by Google regards the Google Play store gift cards so everything is still only rumoured at the current time. 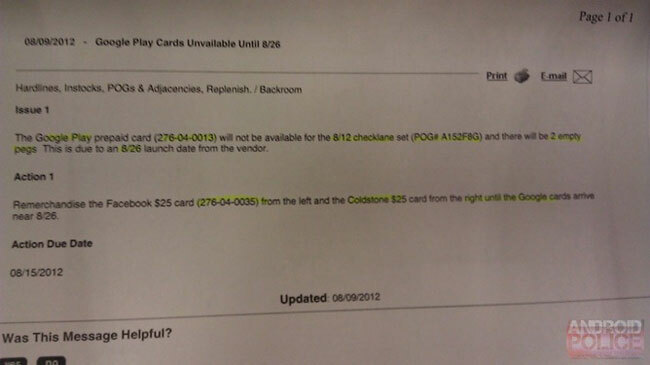 However the leaked photograph of a document comes from the internal system within Target. With the title “Google Play Cards Unavailable Until 8/26″ together with other information regarding the rollout of the gift cards, pictured below. Leaked documents from Target have revealed up and coming products in the past so Android users might be able to benefit from the new gift cards later this week, if all goes well.